In September 2012, I decided to move outside of my comfort zone and take a pottery/ceramics class. 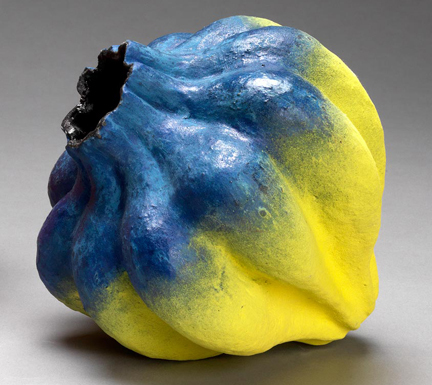 In addition to learning the art, I began studying the history and the work of ceramic artists. I discovered that the historical flow of knowledge and influence began in China then moved to Korea and finally to Japan. I choose to spend some time studying Japanese ceramics because I could more easily find translations and information. 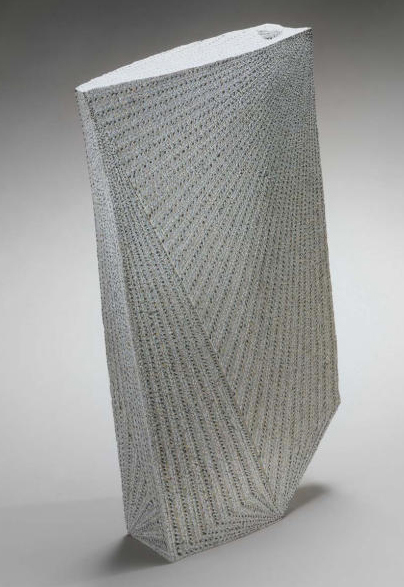 As I studied, I was struck by the many similarities between ceramics and quilts. There is the art vs. craft debate. Despite names like “bowl,” “jar,” or “vessel,” that imply some sort of practical function, pieces are created with the idea that personal fulfillment and self-expression are often more important than practical utility and commercial success. There is also the tension between the traditionalists and those who breaking away from tradition. And finally, there is the educated vs the self taught debate. It is my hope that this provides food for thought. A great book to lean more about contemporary Japanese ceramics is Contemporary Clay: Japanese Ceramics for the New Century by Joe Earle (2005, MFA Publications). I look forward to your thoughts. Karen, I was interested to read about your adventures in ceramics. I agree that it is good to learn that other disciplines are just as screwed up as us textile workers about what is art and what not. I know from my experience commissioning illustrations and book covers that those artists were always griping that the fine art world did not consider their work to be art. I always think that it is great to explore in different fields, and your information about the different Japanese ceramicists is fascinating. I love the top image, and look forward to finding out more about the maker and her colour inlay process. I went to your blog to see if there was any indication of what you are up to with your ceramics, and absolutely love your figure work. 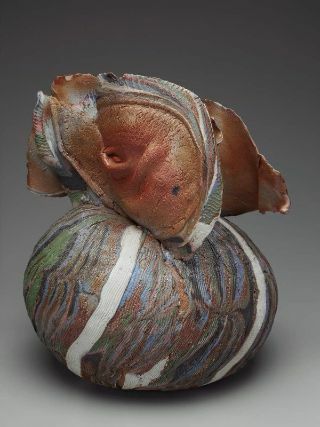 It looks as if you are exploring your own creative needs through the ceramic work, and not sticking to any predetermined concept of what ceramics should be – e.g. vessels (although it is true that not only is the figure a vessel, but also your manifestation of it is also a vessel for your thoughts and feelings). I am greatly in agreement about moving to somewhere outside one’s comfort zone in order to get a different perspective. I am now going to go to try to find out more about Kishi Eiko.